When I started photography 25 years ago as an undergraduate student in the University of the West Indies, Mona (UWI) Camera Club we were immersed in the joys of traditional black & white photography. Agfapan, Tri-X and T-Max were developed, contact sheets were made and enlargements were made…..again, again and again until we were satisfied. Darkroom fever enveloped us as time passed from day to night and back into the morning in that fume-filled red-lit room. There were more than a few times when darkroom sessions ended in pure frustration as we ended up with just not having anything worthwhile. We all imagined that we were either Ansel Adams, Richard Avedon, Sebastião Salgado or Helmut Newton as we strived for that perfect print. 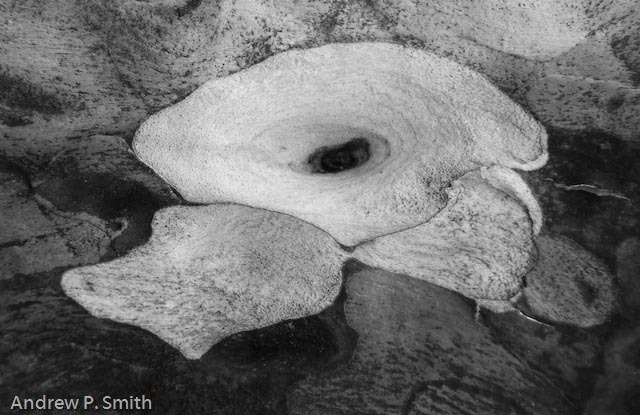 With the transition to digital photography in the early 21st century it became harder to find chemicals, film and paper and I lost my traces of darkroom fever in 2003 when I became a full-time (digital) news photographer. However, it is difficult to give up your first love because you learn so much when your eyes are opened and you and experience what you never knew existed before. This is why I whenever I can, I get back to the tones, shapes, forms and details that only black & white photography can give me. Here are some examples of some of my favourite digital black & white nature photos, all taken at Holywell Recreational Park in Jamaica’s Blue Mountains. 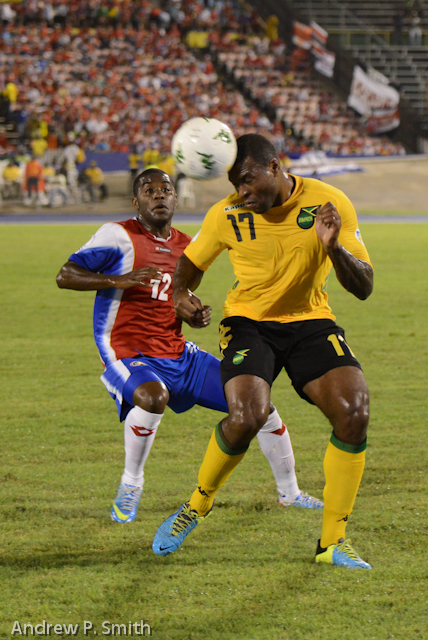 Last Tuesday the Reggae Boyz played a crucial World Cup qualifying match at was used to be their impenetrable “Office” . They qualified for the 1998 competition by not losing any home games but last week Independence Park felt like it was transported to San José. The things I find on my porch at night…. 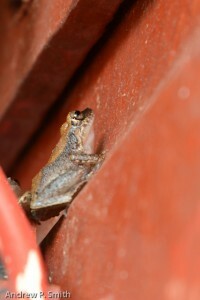 A frog in the eaves of my porch. 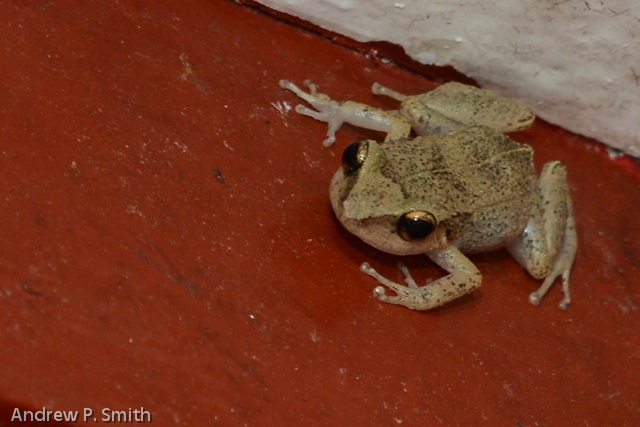 So here I am trying to find some light reading about the frogs of Jamaica’s Blue Mountains. Sadly, I can’t find anything. 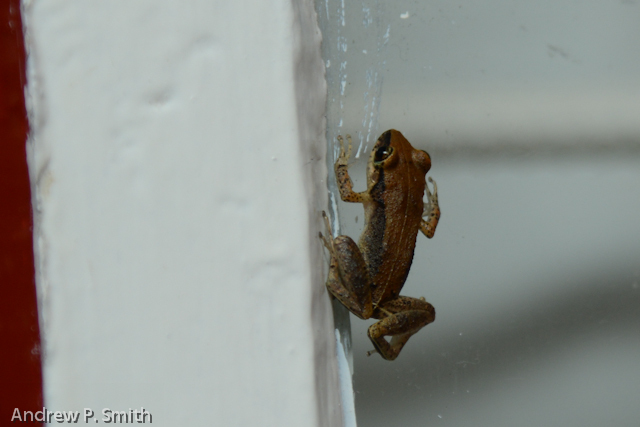 In the back of my memory – amongst all the clutter – I vaguely remember reading that many species of Jamaica’s frogs are endangered and vital members of the ecosystem. You are probably wondering why I am thinking about such things. Well the answer is really very simple – while on my porch earlier this week I noticed quite a collection of the creatures hanging around my light, on the ceiling and on the window. This inspired to take out my camera and practice my night nature photography. 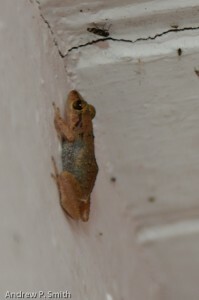 I’m also hoping that someone might identify these little creatures and tell me if they are of any interest. So please feel free to send me any info. that might help me to identify them.